A template for a single-page HTML5 design studio website is an ideal solution for a startup. It supports a slider with cursor-hover effects and a slider with animation effects. You can add a table with prices, a slider with trademarks and a subscription form for the newsletter. The design of this template is modern and clean. Itâ€™s suitable for both a design studio and a design blog. There are various layouts for the landing page, a huge number of options for headers and footers. To organize the catalog of the services you provide, use the mega menu. You can also choose the number of columns on the page. 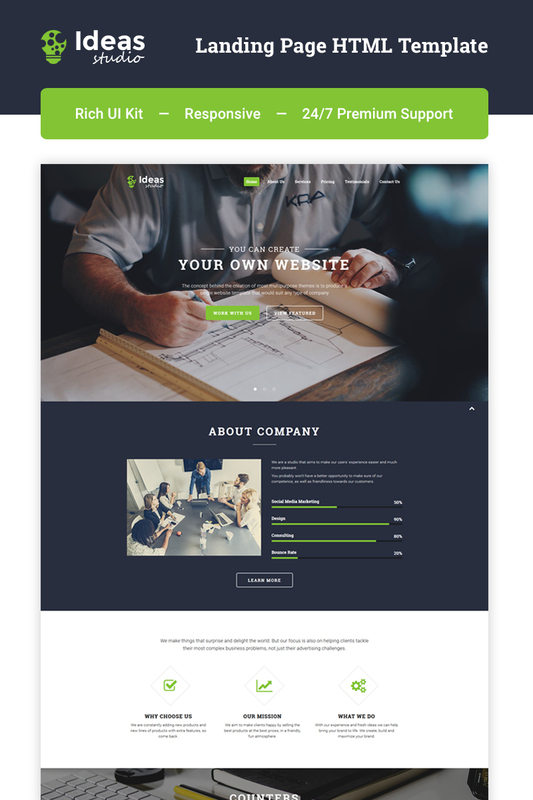 An excellent landing page template that is easy to install and customize.